Yes. 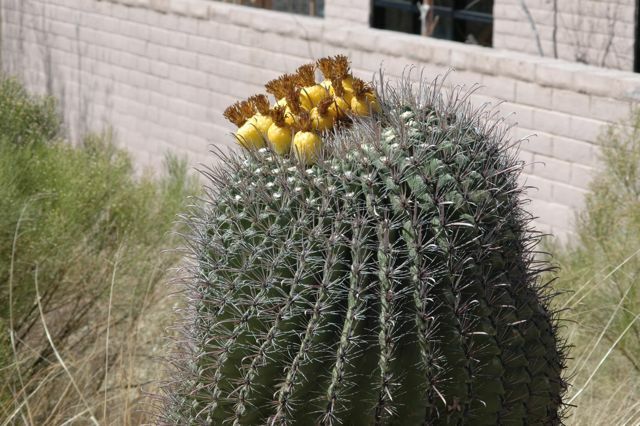 There are tiny black ants on some of my barrel cactus. 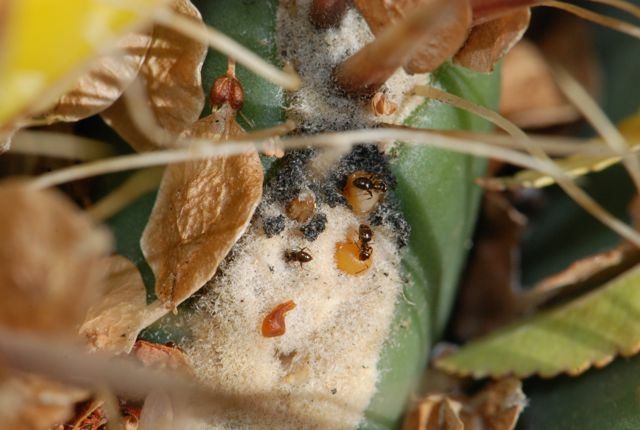 I thought they were living inside the cactus at first and raising young, the nectaries being larvae, so you’re info is very helpful. 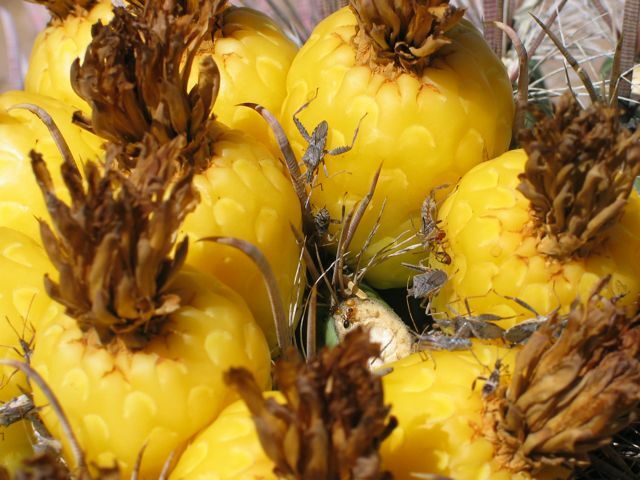 I’m not sure how the ants are helpful to the cactus, but maybe they help keep the surface of the cactus clean, as well as keeping harmful insects at bay. Glad you noticed them. 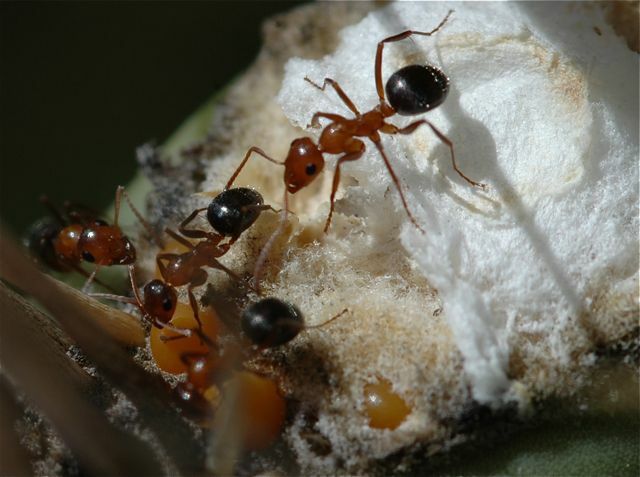 Ants and plants have some fascinating relationships. This was great! One of my 4th graders asked a question about whether or not ants drink, and my mini-research led me here (linked from the Wild About Ants website). Should I rub off the ants that are collecting in a huge mass all over the buds on my moonlight cacti? Sorry for the late response. 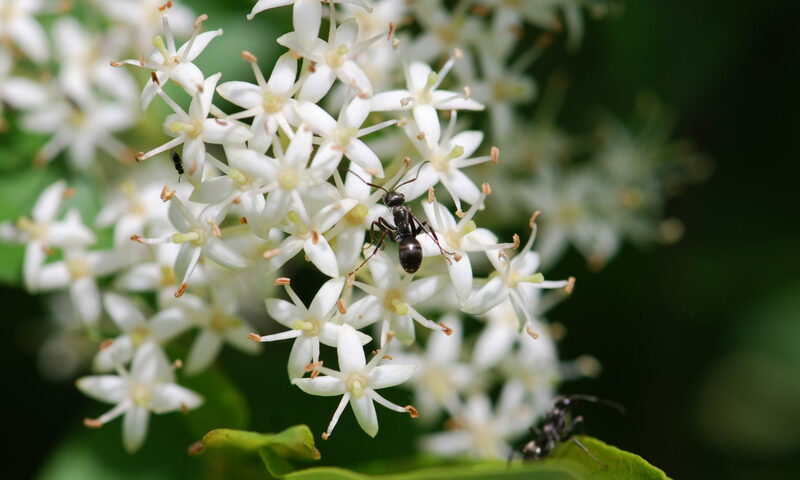 Leave the ants on because they benefit the plants and their flowers.